For me the holidays have always been my favorite time of the year. I get to celebrate Halloween, my birthday, Thanksgiving, Christmas, and the New Year all within a magical 60-day stretch. When my mother was diagnosed with breast cancer, one of my first concerns was the possibility of her not being able to be there for the holidays, or even worse, not being able to enjoy them. Let me share with you the tips and techniques I have learned to help make your holiday season flavorful for everyone. Ask what flavors they are having the most success with. The first thing to think about when cooking for loved ones undergoing cancer treatments is about how their taste and flavor perception have changed by the cancer treatment. Ask them if there are any spices, seasonings, herbs, ingredients, smells, or textures that they find more appealing, or absolutely intolerable. Remember, when we are cooking for people undergoing cancer therapy, we are cooking for their preferences, not ours. So learn what their preferences are on the 5 major flavors: salty, savory, spicy, sour, and sweet. Then balance these flavors with aromatic herbs and spices that help to get your loved one’s juices flowing. Remember to follow my Roundness of Flavor technique (see https://conquer-magazine.com/overcome-food-related-chemotherapy). This technique will allow you to balance the 5 major flavors (noted above) with your 5 senses (taste, touch, smell, sight, and sound). Take into account your loved one’s newly changed senses and flavor preferences to successfully cook in a way that they find appealing. Increase the flavors that your loved one prefers, and omit the ones they no longer enjoy. The key is to build appetite, not destroy it. Make sure to season your dishes with aromatic herbs and spices (such as sage, thyme, and rosemary) that will create soothing, aromatic scents that will continue to build up their appetite rather than diminish it. Considering the weight of the dish is very important. By weight I mean “mouth feel.” What kind of residue does the dish leave while in your mouth, and after swallowing. Heavier foods are more difficult and exhausting to eat when receiving cancer treatments. Also, the patients’ stomach may not be accustomed to eating heavier foods anymore. This could make them sick. Heavier foods that are common during the holidays are dark meat turkey, giblet-based gravy, most stuffings, anything cooked in a cream sauce, and most types of casserole. I would avoid the dark meat turkey and prefer the white meat instead. All the other dishes can be made light by using the Palate Cleansing technique. When cooking, use 1-2 tablespoons of red wine vinegar, followed by 1-2 tablespoons of sugar. By reducing the perceived weight of foods, you will be able to ensure that your loved one has a flavorful holiday that he or she can enjoy. Pungency is the strength of a smell or odor. During cancer treatment, the smell of a food can turn somebody’s appetite off faster than any other single item. Avoid overly pungent foods that your loved one finds offensive. If overly pungent ingredients cannot be avoided, treat them in a manner that will reduce their pungency. The best way to do this is by adding 1-2 tablespoons of red wine vinegar to the dish during the cooking process to help neutralize the pungent odor. This will help to build the patient’s appetite while still adhering to your traditional recipes. 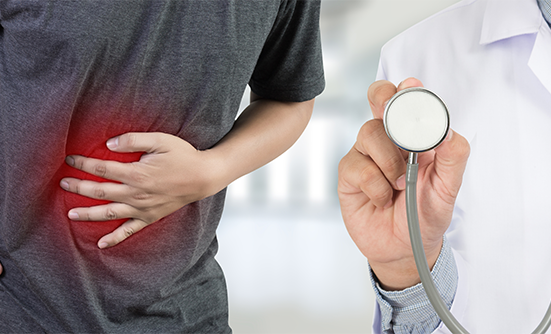 Because patients with cancer often have eating-related issues, their stomach has more than likely shrank, which is an unanticipated side effect that can cause unintended consequences. By eating smaller portions, you can adjust for your stomach’s new capacity and avoid becoming sick from overeating. Consider taking home a doggy bag to eat over several days instead of eating everything at once so that you can truly enjoy your holiday meal. Patients with cancer have compromised immune systems. As a result, their bodies cannot fight off potential contaminants in food that has been cross-contaminated. This is an especially high concern if your loved one has advanced cancer, is very young, or is very old. The best way to avoid cross-contamination is to properly store and defrost all the food items and sanitize all your working surfaces every time you switch tasks. The easiest way to sanitize a surface is to create a solution called “sani-water.” Simply add 1 tablespoon of common household bleach to 1 gallon of hot water. This creates a disinfecting solution that will instantly kill any germs on any hard surfaces you use during preparation. If you go into this holiday season knowing this information, you will be able to come up with a winning game plan! For me, the holidays have always been special. I hope this information will help to make it special for your family too.